How can I manage abusive electronic communication from my ex-partner? Many abusive men use electronic communication in their attempts to maintain power and control over their ex-partner. If this is happening to you, it may feel overwhelming. Here are some tips to help you manage this kind of harassment. You can try to set the tone for the style of communication you want to have with your ex-partner by the way you communicate. Don’t be tempted to engage in casual written correspondence with him via text, email, etc., because this will encourage him to think you welcome ongoing conversations. If you have a cute picture of one of the children that you want him to have, send it via a third party or send it in a communication book (see “Use of a communication book”) or as part of a business email. Be professional and polite. Write every correspondence as though it will be read by a judge. Not only is this a real possibility, but it will encourage you to communicate with your ex-partner in a respectful manner, regardless of how he is communicating with you. Avoid letting your frustration or anger show in your communication with your ex-partner, no matter how justifiable these feelings are. Written communication in which you express anger can be taken out of context. If using email, bcc yourself every time you write an email to your ex-partner, then save these emails in a special folder so you can find them and, if necessary, print them later as part of your evidence. Consider opening an email account just for his email, so you can continue to check for other emails without being afraid you will come upon an abusive message from him. Turn off your phone notifications so you do not get notified every time your ex-partner sends you an email or text. This will reduce the extent to which you feel overwhelmed and upset. Make a plan for how often you will check your email, texts or parenting coordination site. Arrange this to be at a time when you are not distracted; for example, in the evening after the children are in bed or early in the morning before you leave for work. Let your ex-partner know how often you will check and respond to his messages. focused on the children and court-related matters. Tell him that you will not respond to other matters. Let him know that you are keeping a record of all communication. Hard as it is, stick to your rule of not getting drawn into unnecessary communication with him. With extremely rare exceptions, you do not have to respond to your ex-partner’s emails right away. Use the 24-hour rule: Wait 24 hours before answering any email so your emotions have time to settle and your response will be more professional. Resist his attempts to pull you into arguments. Every response from you encourages him to write to you again. Have a friend on call as a sounding board and to assist you in deciding which emails require a response and which don’t. Vent your frustrations to this friend rather than in emails to your ex-partner. Consider having a friend as your communications intermediary, screening all emails from your ex-partner and letting you know which ones you need to read and respond to. Before doing this, be sure your friend is completely trustworthy, will respect your privacy and will not tell others about the emails they read. You also want to be confident that your friend understands your situation very well so they make appropriate decisions. Never use the reply button when responding to your ex-partner’s emails. Save the original email, then create a new email titled “reply to your email of [date].” This makes it much easier, should you need to produce your emails in the future, for the reader (e.g., the judge) to see each email in succession. By saving all of your emails individually, you can protect yourself in the event your ex-partner makes changes to your original email content to try to make you look bad when he replies to you. If, despite all your efforts, your ex-partner refuses to control his electronic communication with you, you may want to ask the court to make an order that all communication take place through a communication book. This can be passed between you and your ex-partner at access exchanges. It can be put in a locked pouch so the children cannot see what is written in it. You should take a picture of the book or photocopy it regularly in case your ex-partner withholds it at some point. Using a communication book can reduce stress for you because you will not be receiving emails from him on a constant basis. Whether you are setting limits on how often you read your ex-partner’s emails or you are using a communication book, you should make a plan for communicating in the event of an emergency situation. You could come up with a third party to act as a communication go-between. Or, you might be willing to agree to receive a text message or phone call in such a situation. 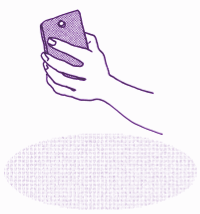 For more web & phone safety tips see the TechSafety app from the National Network to End Domestic Violence (USA).